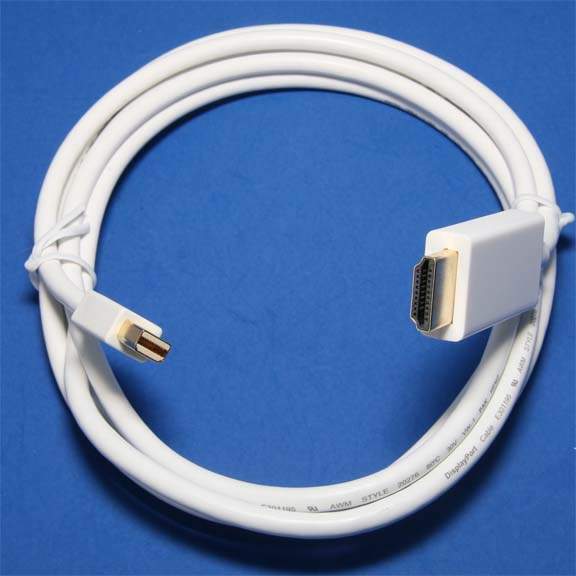 6-foot Mini DisplayPort to HDMI Cable is a cost-effective Mini DisplayPort to HDMI link that lets you connect a HDMI monitor to a PC or Mac with a Mini DisplayPort output - saving the expense of upgrading the monitor for compatibility. Backed by our Lifetime warranty, this all-in-one, easy to use Mini DisplayPort/HDMI cable requires no additional converters or adapters, and no driver or software installation. Compatible with Intel Thunderbolt, when connected directly to a supporting DisplayPort over Thunderbolt I/O port. This is a passive adapter cable that requires a DP++ port (DisplayPort++), meaning that DVI and HDMI signals are also passed through the port. Display Ports Prior to May 2011 do not usually have Audio Function Support.